The world is changing, and so are we. At Volvo Cars we take climate change and pollution seriously. We already offer a broad range of award-winning Plug-in Hybrid powertrains, and we are currently rolling out our Mild Hybrid solution. Our Pure Electric cars are on their way. 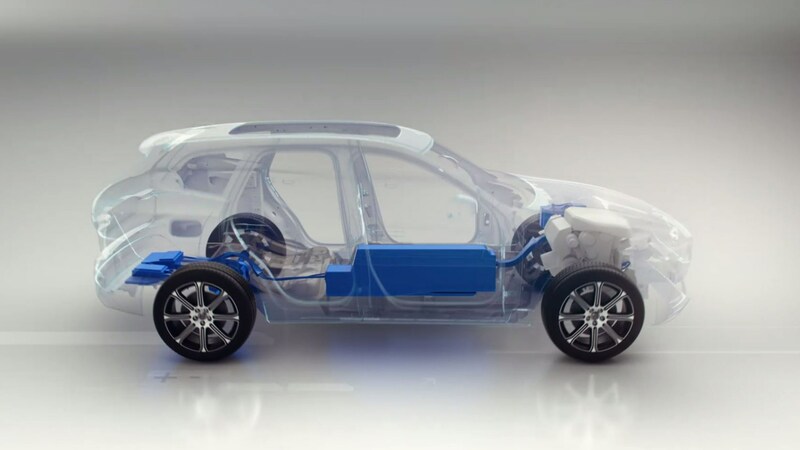 At Volvo Cars, our powertrain technology is based on the concept of efficient power without compromise. We take a modular approach to powertrain engineering so that our engine architectures can deliver distinctive powertrain attributes and also be combined with electrification. But it doesn’t end there. Below you can learn more about the different types of powertrain and propulsion systems we have today and will launch in the near future. Of this we are certain. We are so certain in fact that we believe that fully electric cars will account for around 50 per cent of our annual sales by 2025. Our Twin Engine Plug-in Hybrid technology delivers a no compromise mix of performance, driving pleasure, efficiency, interior and cargo space and flexibility. Our award-winning engines come with advanced boosting technology that delivers responsive power when desired, through the innovative use of both turbo- and supercharging. Omtanke is the Swedish word for caring and consideration and also “to think again”. It reflects our commitment to protecting what is important to you and the society we live in. Read more about our approach to sustainability - from ethical business practices to environmental care.